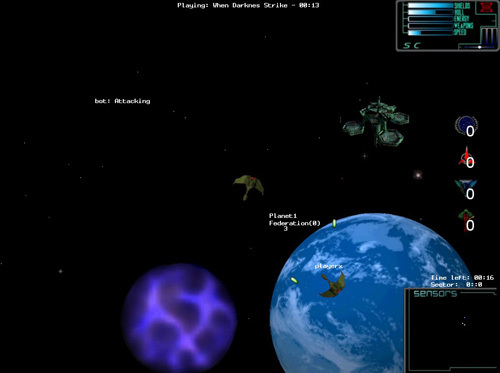 Quadrant Wars was a highly ambitious project at the start of the massively multiplayer online games era. 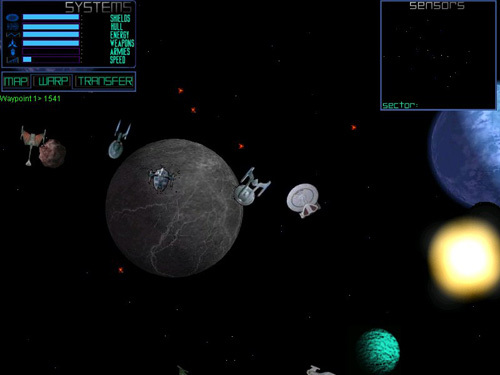 The idea behind it was to create a modern version of a 1988 game called Netrek. 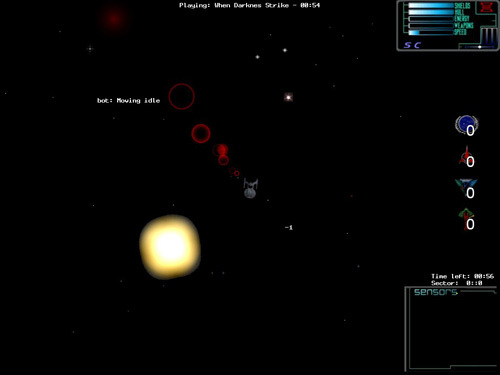 The development of the game went quite well, using Visual Basic 6 with DirectX8 support as its fundementals. 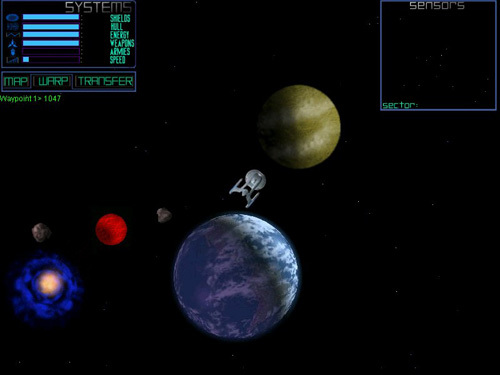 The network code was handled by DirectPlay (networking code in DirectX) which ultimately lead to unexpected problems, and therefore cancelling the project indefinetly. The problems started when the initial handshake packets of DirectPlay were underneath a certain size, and were therefore dropped by the local ISP at that time. Testing the game became impossible, and rewriting the netcode would require a significant amount of effort. Which was really unfortunate, as the game played really well because of various net synchronization strategies that were applied. 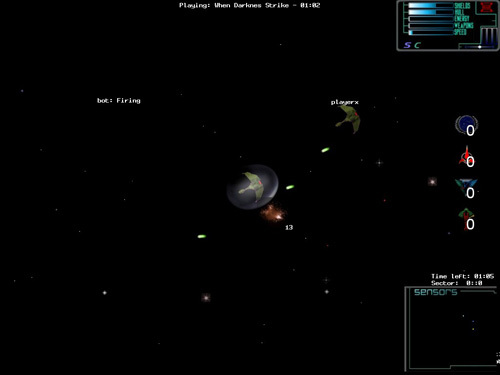 Multiplayer programming has always kept a special place, as proiding the ability to cooperate or battle each other is so much fun! The old site is still online, providing screenshots and background information. 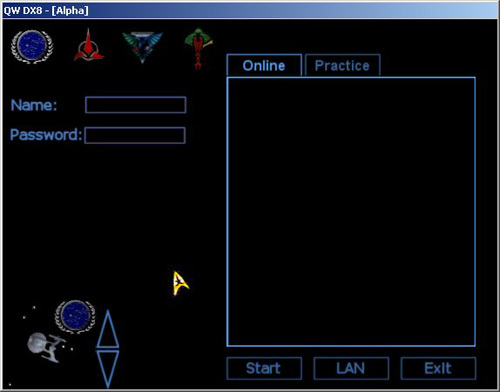 The site can be visited at www.quadrantwars.com. Some screenshots to illustrate the idea behind the game.